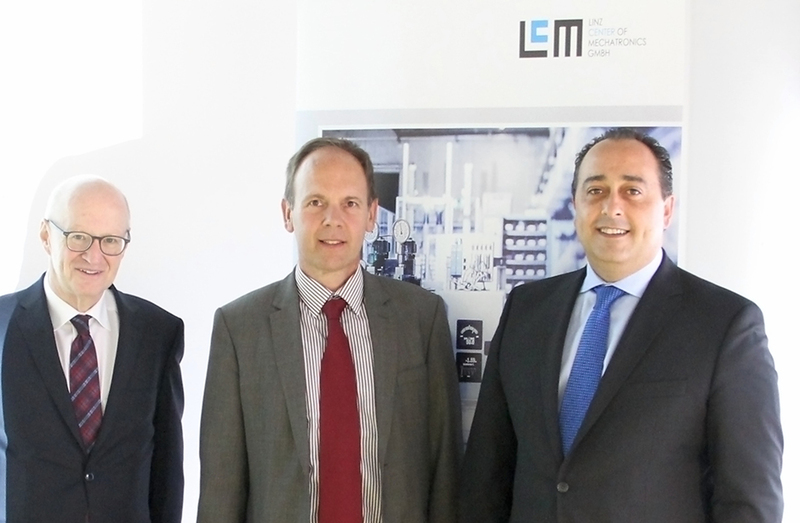 On 20th May, the Linz Center of Mechatronics GmbH (LCM) was pleased to welcome the Ambassador of Malta, Keith Azzopardi with accompaniment of Hon. Consul of Upper Austria Josef Walch in the Science Park for a company visit. Azzopardi and his entourage were very interested – how successful the transfer of scientific knowledge in the practical application of the LCM succeeds. “Important quality characteristics for cooperation with LCM are the intelligent networking of technologies and maintenance of customers to series introduction”, Mr. Gerald Schatz CEO of LCM told.